If you need to pull a horse trailer, cargo trailer, equipment trailer, government trailer, homeland security trailer, boat trailer, concession trailer, race car trailer or any other trailer that uses a Gooseneck Hitch, you can improve the ride by over 90% with our gooseneck air hitch by AirSafe. 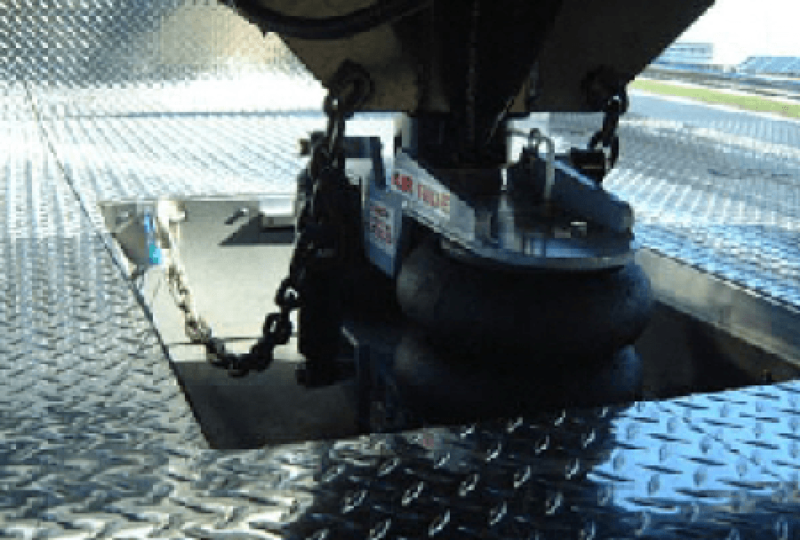 Contact Air Safe Hitches now and we will assist you with your gooseneck hitch needs! Available in the standard coupler or 4” extended coupler to use when you do not have 12” of space around the recessed ball on your Western Hauler style truck box. 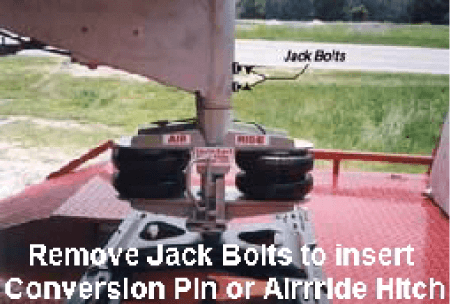 Air Safe Hitches and its patented Gooseneck Hitch by AirSafe™ will improve your ride by 90%. This Hitch will save you many repairs to your trailer down the road, repairs that would cost much more than the hitch. Animals riding in trailers has always been a dangerous situation. The horse has to stand spread almost spread eagle in the trailer when in motion to keep from falling. The bounce and jerk of the trailer also places undue stress on the horse’s leg muscles and joints, making the horse stressed out, tired, and jumpy by the time the trailer stops, especially on long rides. The drive always seems to take a little longer too, because the driver has to stop and let the horses rest every four to six hours. Using an Air Ride Hitch will give you a smoother ride for you and your horses, other animals, and cargo. 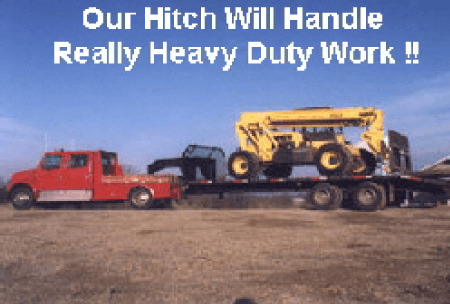 The hitch will reduce the repairs and maintenance on your truck and trailer therefore saving you time and money. Every horse owner knows this problem exists. 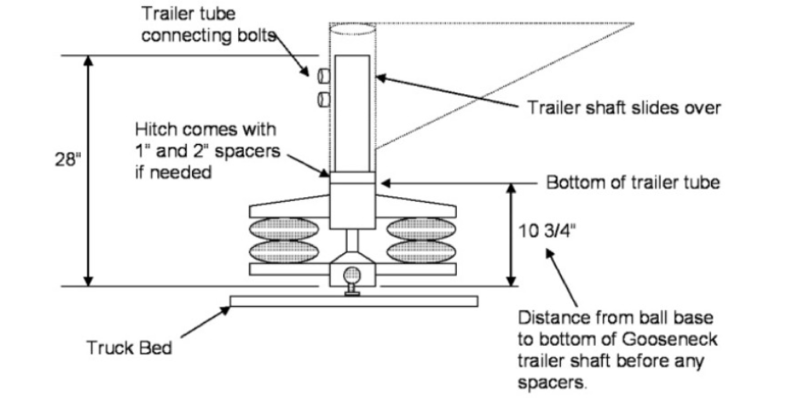 Our hitch reduces the tire bounce of the trailer so drastically, that the trailer and its contents are under less stress, thereby eliminating damage to the trailer, the tow vehicle and most especially the horses. 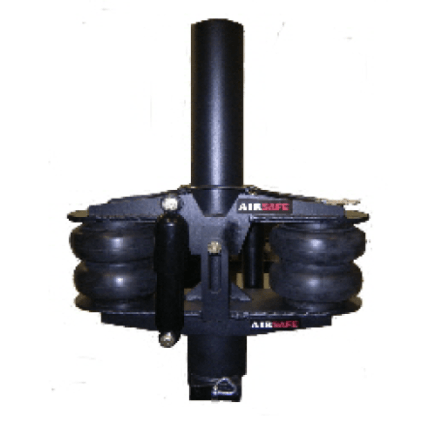 Air Safe offers the industry’s largest selection of air hitches. Innovation and engineering insures you receive the safest and smoothest ride. “Enjoy the ride, arrive alive.” With AIRSAFE™ you stop the flow of shock flow between the tow vehicle to the trailer and greatly reduce the explosion of energy when these two forces meet. 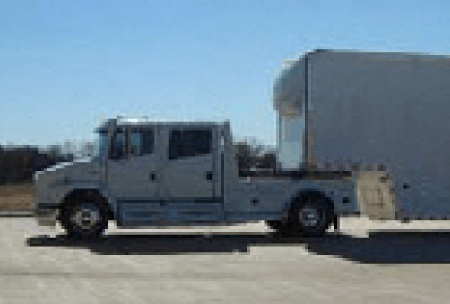 The patented AIRSAFE™ hitches are engineered so the connection to the trailer is separated from the connection to the tow vehicle by an industrial strength airbag. 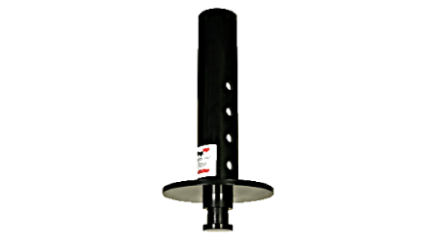 Air Safe Gooseneck Hitches by AIRSAFE™ are simply the best air product money can buy. They are engineered with you and your precious cargo in mind. 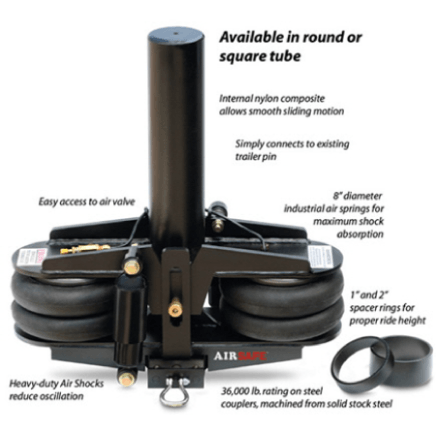 Simply remove your existing gooseneck tube and coupler and replace it with the AIRSAFE™ system. Available in round and square necks. We feature a 36,000lb rated solid steel coupler machined from solid bar stock insuring the best ball confectioned offered in the industry today. Inside the neck tube is two solid pieces of self lubricating Nyoil Blocks which allow for smooth maintenance free upward and down movement. Tough, durable and maintenance free. Our system also features two heavy duty air bags. These airbags are connected together allowing air to move back and forth eliminating the chucking, bucking, and surging caused by a rigid connection. Simply adjust air levels to the clearly marked height. About 50 psi is all you will need once again you can use a portable air pump or any air compressor. Our exclusive design protects your precious cargo from injury. Veterinarian recommended the AIRSAFE™ Air Safe gooseneck. Nyloil® which is a self lubricating nylon. So tough you can actually machine it. Powder coated for a tough durable finish giving longer life and increased visual appeal. Engineered using Solid Works® the worlds most recognized engineering software. Shipped by freight making sure the product arrives in tip-top shape. Note that our self-lubricating composite (green) surrounds the whole interior of the hitch. This gives a lot of surface and the precise machining means controlled movement inside the tube. Our competition uses other means that cannot be machined to the precise tolerances therefore causing slop inside the tube which will eventually make wear patterns that deteriorate their effectiveness. Their hitches also have to be taken apart on a regular basis for lubrication and cleaning. Why go through all the hassle, our hitches last forever with minimal maintenance and smooth travel.